Beriev Aircraft Corp., was formed in the 1934, when Taganrog Central Design Bureau of Seaplane Manufacturing was created at the facilities of Aircraft Plant Number 31. The engineer Georgy M. Beriev became the Chief Designer of the Bureau. Throughout the 70 years of its history, BERIEV has demonstrated exceptional creativity and has contributed to development of Russian science and technology in design of seaplanes and amphibian aircraft. Beriev Aircraft Company specialists have designed 29 types of aircraft for various purposes; 14 of these aircraft have been put into serial production. Two hundred and twenty-eight world aviation records have been broken by pilots flying Beriev seaplanes and amphibians constructed at different times. The records are registered and acknowledged by the International Aviation Federation. In the course of research and development work, Beriev specialists have received more than 900 certificates of authorship and patents for the designed aircraft and their structural components. In November 1989 Beriev Aircraft Company became the only defense industry enterprise to win the Prize for Quality awarded by the Government of Russia. In cooperation with other Russian companies, Beriev is taking part in the program of designing a family of new-generation RRJ (Russian Regional Jet) short-range airliners. Another important field of work for Beriev are AEW aircraft projects. The development of an aircraft provided with special airborne system for momentary and high-precision transport of energy to remote objects was started in the late 70s and is being continued up to now. Today the Company employs some 3000 specialists and is developing and manufacturing amphibious aircraft. The Be-200 multipurpose aircraft is a brand-new amphibian, the latest achievement in the world of sea aviation and the most efficient and advanced amphibious aircraft ever manufactured. 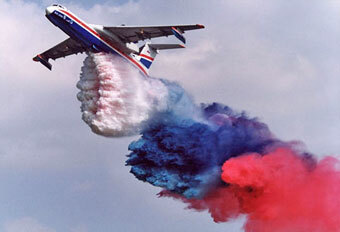 The multipurpose character of the aircraft is revealed in a variety of missions that can be performed by the Be-200. In its basic option, the Be-200 amphibian is designed for fire fighting, but its unique configuration allows its application for passenger and cargo transportations, coast patrol, environmental control, rescue operations at sea and other purposes.